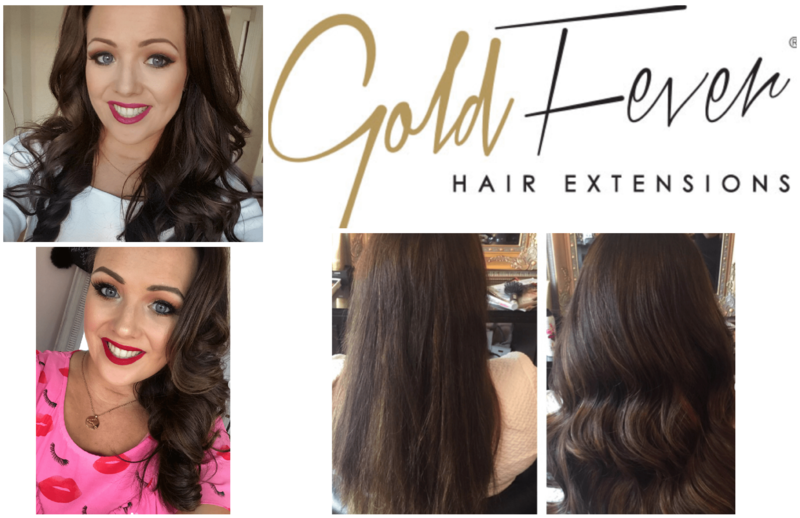 I have previously written about Great Lengths before, and now that I am onto my second set of extensions, I thought I would up date you on how I have found Great Lengths hair extension. While there are so many good things about Great Lengths, it is important to give you the downside of these extensions too. There are many extensions out there on the market, but what makes Great Lengths stand out above all others is the bonds. 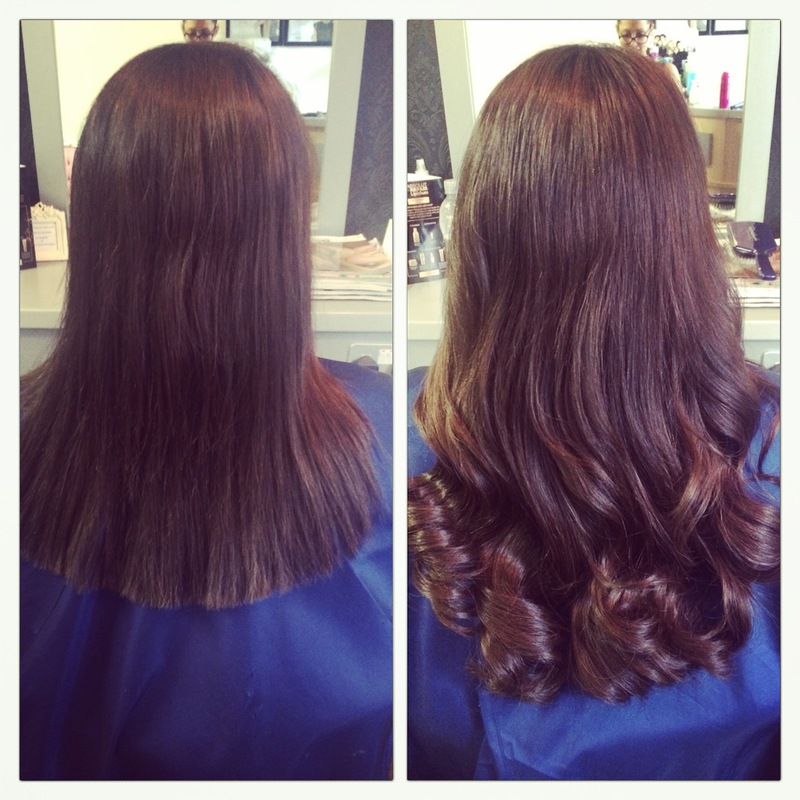 Great lengths extensions use keratin bonds to apply the hair. Keratin is the same substance that is found naturally in our hair. It is applied to the hair using hot and cold heat. The hot heat only touches the bond, while the cold heat touches your hair. This means that there is no heat at all being applied to your hair and therefore no damage. The bonds are absolutely tiny. You can’t see them in the hair unless you go search and even at that they are so well blended into the hair. They don’t feel heavy on the head, like some extensions can. In fact apart from the fact I they give you gorgeous hair, you wouldn’t know you had them in your hair at all. The two main reasons people get extensions is for length and volume, and my god Great lengths give that it the bucket full. I went for 40cm extensions this time, but there are lots of different lengths to choose from and they can also be cut into your desired length and style. As you can see from the pictures, my own natural hair blends in beautifully and the extensions give a gorgeous mane of full volume hair. The hair is also really easy to style. You would think with extra hair it would take longer to do your hair, but once it is dried, it takes a style really well and not only that, it holds the style. Great Lengths last longer than most other hair extensions and don’t damage the hair. When I got my first set taken out, I genuinely couldn’t get over the condition of my hair. Due to the fact I wasn’t using as much heat on my natural hair, it got a chance to grow and repair. Great lengths, when applied properly and taken care of should last 6 months. Yes they are more expensive than most hair extensions, but most hair extension only last 3 months and end up costing the same amount when they need to be reapplied so soon. Great lengths take a lot of work . You need to wash your hair with a special shampoo and conditioner to prolong the life of the bond. If you don’t you run the risk of the bonds sliding out of your hair. The Great lengths shampoo stops the bond breaking down and prolongs the life of the extensions. Not only do you have to use a special shampoo, but you have to use a special brush. This brush is normally included in the price of your extensions. The brush helps you brush through the bonds, as if you don’t do this they can matte. This of Britney Spears hair during her hard time. Once you follow these steps, your extensions will last and look great. Price is also an issue. The price of these extensions differ from person to person due to the length and volume that they need. While I can’t give the price here, I will say, they are not as expensive as you think. It is worth going to a Great Lengths salon for a consultation and they will tell you how much it would work out for you. For me the most important part of getting your extensions looking their best is how they are applied. While I am not going to go into too much detail, I had a very bad experience with my first set of Great Lengths. Not because of the extensions themselves, but rather how they were applied. Due to the fact the bond was cut too short and wasn’t sealed properly during application, the extensions began to shed within a month. I mean lumps of hair was coming out. Within two and a half months, the hair had gone so bad and thinned out so much I wanted them out. Long story short, Great Lengths looked after me. I went to a different salon and I got them cut to make them look better and came to terms that they wouldn’t last the length of time there should have. After 3 and a half months I was loosing actual bonds and come 4 months I couldn’t wear my hair down anymore. In fact after about 6 weeks I couldn’t wear the hair down unless it was curled. It was a bit of a disaster if I am honest and I feel I didn’t get the Great Lengths experience, due to bad application. I chalked this whole thing down to a bad experience and as you can see it hasn’t put me off Great Lengths and my latest set are amazing. My advice would be to go to a salon that does Great Lengths on a regular basis and has a good reputation. I went to Rachel Byrne in Rush this time, as she applies a serious amount of Great Lengths every week and also works for Great Lengths training people in how to apply them. Her work is flawless and her reputation precedes her. I can’t recommend her enough. For me the only real problem with Great Lengths is that I never want to be without them. 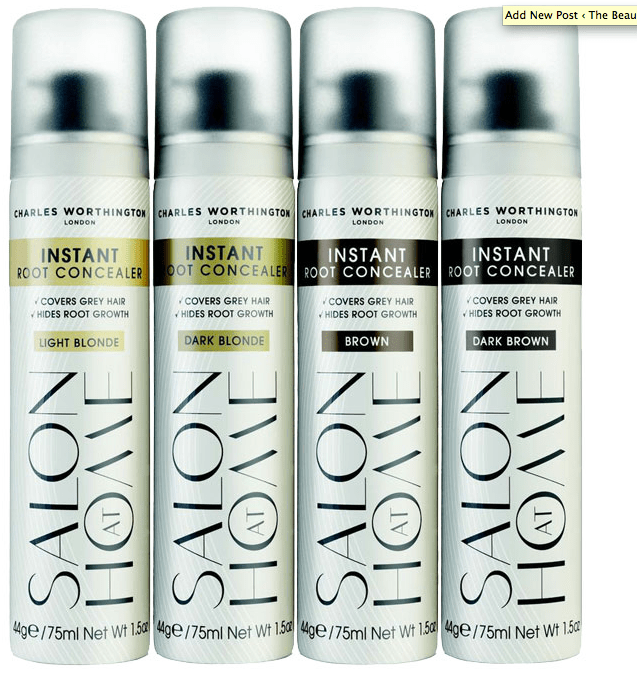 Charles Worthington Instant Root Concealer. The answer to your grey hair and bad roots problem? REALLY, REALLY THEY DON’T DAMAGE YOUR HAIR?? I WUOLD LOVE TO GET THEM BUT HAVE WEAK HAIR AS IT IS AND GOING INTO MY LATE 40’S I NOTICE IT IS GETTING THINNNER AND I WOUD LOVE LOVE TO GET THESE DONE FOR VOLUME. WHAT YOU THINK ,I LOVE YOUR BLOG AND THANKS FOR DOING THE LEG WORK!! hi Caoilfhionn, i can’t recommend them enough. Ill be getting mine out in jan/feb after around 6 months in. Due to all my money going on the wedding I’m gonna wait until around april/may to get them in again. Once thing when getting them in, is to go to someone who is good at doing them. I don’t know where you are located in the country, but honestly you should travel for rachel. She trained people in doing GL and puts in at least 3-4 sets a wee, most weeks its way more than that. The reason I would recommend her is, she knows exactly what she is doing. When they are applied right, they don’t come out in clumps at all. You might lose the odd bond, but that is only the odd time, and would come out when brushing your hair. You wouldn’t notice any difference at all in losing one bond, and really when they are applied right, you really should lose v few. I haven’t gotten to the 6 month mark with mine, but after 3 months, mine look great. They can take a bit of getting use to blow drying and straightening, but when you get use to them, they really are magic. 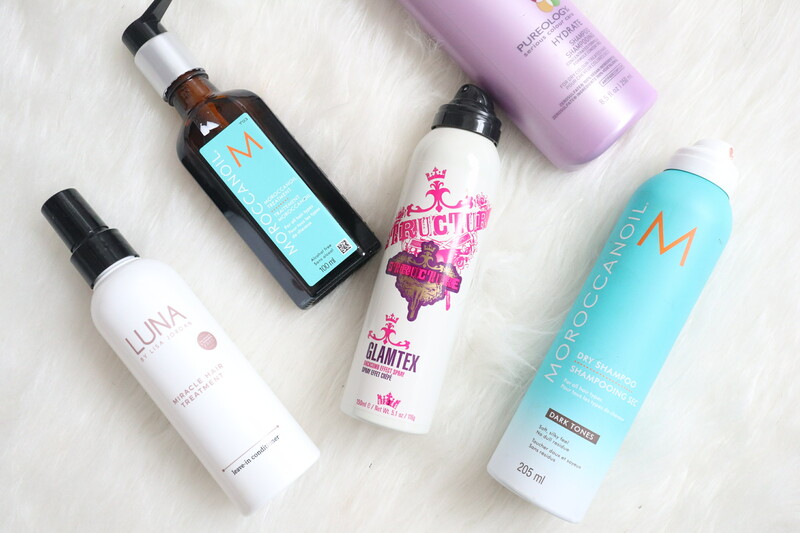 Is it ok to wash your hair every day with great lengths? Also how much does the shampoo cost? Hi, i got great lengths four months ago and at the start of the 3rd month, the bonds were falling out from the root. I have lost around 15 bonds this way, is this normal? Salon must not be applying them correctly. go back again. Hi, I really would love to try some but as I suffer from very light hair I’m worried it will leave my hair worse. I would just live the back and sides of my hair to look a bit fuller when it’s down as it goes all see through. Can you just get a small amount put in that wouldn’t damage your own hair also I wear my hair up mostly during the week is this ok? great lengths don’t damage your hair at all. go for a free consolation and they can best advice you. My story is a bit painful of Great Lenghts. I got them done in Nov 14 and did all the instruction to the letter. After 4 weeks they started falling out 2 or 3 a week. I went back to the salon and I had hair left from Nov so asked to get what I had left put in. First of all the hair wasnt mine as it was much shorter and mine should have been down to my waist. Well they put them in and after a few days more started falling out of the lot at Nov and all falling out at the root. I had brought the ones that fell out to the salon but they fobbed me off but did admit that I was the only one that they have seen that had really looked after my G.L. I decided to get them out as too much hair was falling out and just to include( my own hair was about 4 inches away from my waist and was very thick). I wanted my hair longer and didnt have the patience to wait for it to grow to my waist. I paid €765 and had them in just over 4 months. Well the day came 2 half weeks ago to get them out. The deal started and chit chatting and I did notice a lot of hair on the floor but not worried at all. Now the heartache starts all the G.L out and my own hair did grow to waist but most of my hair was on the floor my fringe was thicker than the rest of my hair. I was devastated. My hairdresser was shocked also and started crying (the same girl that put them in). I had no choice only to cut approx 7 inches off the length and left with wispy thin hair. The salon was supposed to get onto G.L.themselves and said they would keep me updated. I have heard nothing from the salon. I think that they just might have been put on wrong and I have paid dearly with the outcome of my hair for someones mistake. I wait in anticipation for some sort of explanation. I will give the salon the benefit of the doubt. I will update on the progress. oh my actual god Caroline!!!!! You need to do something legal about this. The salon applied them wrong. That is genuinely the only thing that could have gone wrong. If GL came out and it was GL’s fault all that would happen would be shedding and the bond breaking down. You wouldn’t have lost your hair. I would be almost sure of that. Give Rachel in Shush a call. She trains people in GL and she would know what the problem was, but in my non qualified opinion they were applied wrong from the beginning. My heart is actually breaking for you. First of all thank you so much for the quick response you certainly made me feel better just by replying to my dilemma. I forgot to mention that 3 girls in the salon got there’s out after 8 months and perfect hair i know for definite that it was a different stylist put the GL. I know the stylist very well which makes it more difficult to discuss the issue. I suppose it doesn’t portray GL in a good light as they are representing there product. I shall make that phone call to Rachel and see what she says. Thank you so much again and I shall keep you updated. Hi I have GL and I love them they are due to come out now. The stylist that did them for me is excellent and I would find it hard trusting any one else with my hair as it is fine. But she connot do them for personal reasons right now. My question is can you recommend a good stylist to remove and redo a new set for me? 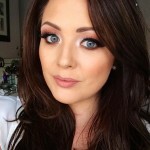 Hi Sinead, I went for 2 consult’s for GL this week, one hairdresser told me that I have to get colour done separately to the bonds, so a few days before. However the second one said it can all be done on the same day (I need new colour and blended to the extensions colour) I’m not sure if one was saying this so they can get more money out of the 2 visits or the second one didnt know that they cannot be done together, can you let me know if you got your colour on a separate day to the bonds being applied? Thanks a lot! Lisa, you have to wait 48 hours after getting a colour before apply GL. I got my colour done yesterday as i am getting a new set in on Tuesday. They colour match you on the day of your colour and order the hair. Avoid the girl who said she could do it the same day. She clearly isn’t used to doing GL. If you’re near dubln at all, I honestly can’t recommend rachel in shush enough. Hey Mary ! im having the same problems! what did your hair dresser say ? was your hair ok when you took them out ? Hi Sinead, where did you get your Gold fever extensions done? Same place as GL? Were they more expensive than GL? I see this post is from 2015… Do you still think Gold fever is better than GL? My experience of great lengths removal was the most experience ever. It was worse than child birth. The stylist hacked away at the hair and called upon some of the other shop floor girls to assist to speed up the process. I wish i had taken painkillers. Surely this cant be good for your hair? I have great lengths in and have done for two moths. My hair is naturally quite dark but I have it dyed blonde and my extensions are also blonde. Do you know If I will be able to get my roots done or will it damage the extensions? I feel like after I washed my great lengths they felt dry. How did you keep yours feeling silky? Hey i had gl in 3 times they are very good. However, i have found that my hair is very thin now and I’m worried about getting them put back in because every time i get them out i have less hair. Is there a product i can use in addition to protect the damage. The damage is not at the root but the ends are incredibly thin and i have to have about 2 -3 inches off which i hate now….My hairdresser is a pro and very good but I’m really worried I’m just gonna go bald. Any suggestions? Should i go clip in for a while? Hi, can you answer Samantha Rumble’s question? I’m exactly the same, I love GL extensions & have had them done 3 times now. The problem is that each time my hair is thinner & more broken. I feel I have to get them in as I couldn’t leave the house with the way my real hair is now! I had quite long hair but not very thick, now it’s short in places and really thin. The salon is great but I wonder if there is some treatment that I can use? Either that, or everyone is pretending that they don’t damage your own hair. I have before & after photo’s of all the times and I could cry when I see my original hair. i haven’t noticed any damage to my hair and I’m on my 4th set. what about getting some clip ins to let you hair have a break. treatment wise there is a good Loreal on called fibreology. 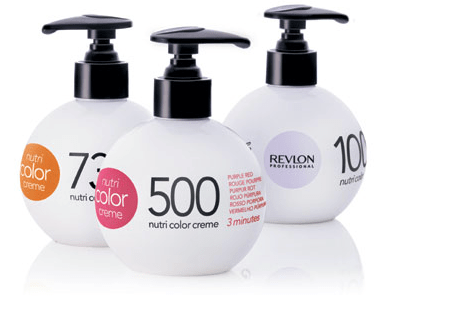 its about €20 in salons and then you buy the shampoos that help the hair grow thicker and repair damaged hair. you can’t however use it with the extensions due to the sulphate content. l would like to have GL in my hair, and would like a phone number for Rachel in Rush, if that’s okay. l would like to have extensions done, as l have fine hair, and would like to thicken my hair for a wedding l’m attending in March this year. l live in Santry, so the nearest to that would be easy for me to get to, for a consultation. I was wondering if there was any problems you could see with leaving the extensions in your hair for 6 months? some people online complain about the hair matting. did you have any problems like this? The only thing I can say is don’t get great lengths, they ruined my hair, my hair was half the thickness it was when the bonds came out. 2 years later my hair is still trying to get back to where it should be. I honesty wouldn’t recommend great lengths now or ever. i have the GL 2 days and I have lost 4 bonds, is this normal? Also is a tangle teezer sufficient to use? I feel when I put my fingers through the bonds to separate them I pull at my hair, it feels like its pulling from the bond? Is that normal? Stressed after reading some of the posts! Any help is appreciated. Hi, I’m just wondering if Great lengths hair strands come pre tipped, or does the hair dresser use loose hair that they bond as they apply ? And how do you buy the hair is it per bond or bundle e.g. 1/2 bundle , 1/4 bundle etc. I’ve been wearing Great Lengths extension for almost 8 years now. And I can assure you it is all about the application and the way you take care of them after. In all these years I had just one incident where they didn’t last as long as usual and that was all due to the application. I used to get 5 packs (bundles of 25 individual hair pieces) of 50 cm before, but since my hair has grown I now only get 3 packs of 50 cm for a little bit of length and mostly volume. They come pre bonded (pre tipped) and you only cut a small part of that bond to achieve a seamless look after the application. I think it might depend on the country but as far as I know, they come in bundles of 25 pieces. They are not cheap by any means but the quality of hair and keratin is really the best in the market. They last me for about 5-6 months. I usually start loosing bonds by that time. I’ve dyed them with no problem. My hair is not completely straight so I get them straight with a natural wave so I can style them easily. After all these years I’m still crazy about them. They’ve helped my hair so much which is thin and a bit damaged due to dyeing it blonde. I usually wait about 2 months between applications. Once you take them off you can’t apply them back. I mean you could with a different keratin and at your own risk. I wouldn’t do that. But recently I took some of my pasts hair extensions pieces and had them made into clip in extensions for when I’m in my 2 month break between applications. So that’s an option so you don’t feel terrible as I did for many years for throwing them into the trash. I absolutely LOVE my GL extensions! I had a pixie cut and was trying to grow it out. I don’t have enough patience to wait out the “grow out” stage, so I found an experienced GL stylist and she did an AMAZING job lengthening my hair and disguising the bonds in my short hair! I do know this: once my 6 months are up, I’ll get this set out and put another one in, no doubt! 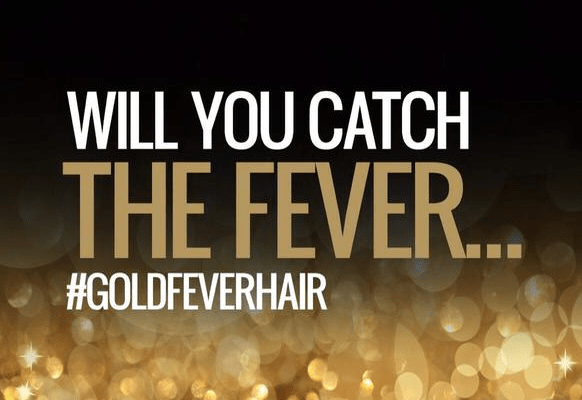 I’m currently wearing gold fever hair extensions for 4 months, I love them and want to get another set when these come out. Was wondering if you have to wait between sets? I travel with work a lot and it’s hard to get to the salon where I have them done. I rarely wait. you can go direct from one set to another. Sorry for my delay in replying.